If you haven’t already gotten tickets for this Friday’s concert in the National Stadium, you should. Camila and Sin Bandera are going to perform. The show will begin at 7:30 pm. Tickets are available at www.eticket.cr. Prices range from ¢12,000 to ¢110,000. Something unique about the presentation is that the two artists from each group will come together and the four of them, Pablo Hurtado, Mario Domm, Noel Schajris and Leonel García, will sing songs from both groups. They did, however, try to leave them as close to the originals as possible to pay tribute to the songs people know and love. 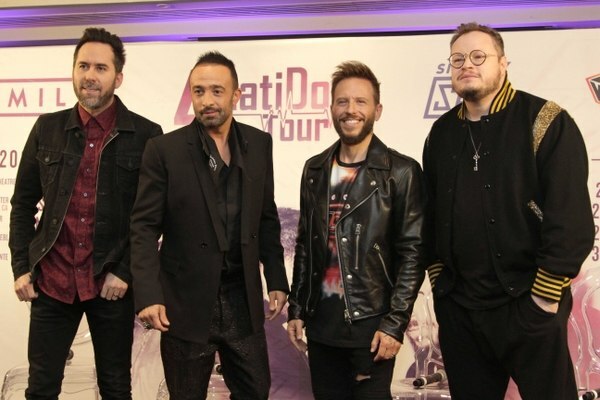 They are on the 4 Latidos Tour. This has taken them to many stages in Mexico and the United States where they were received with lots of love from their fans. Fan favorites seem to be Entra en mi vida and Mientes. Camila performed at the National Stadium in 2015, following losing one member who decided to go solo and then taking a break in 2012. Sin Bandera played at Saprissa in 2016. It was meant as a farewell tour but they decided to continue playing together after all.